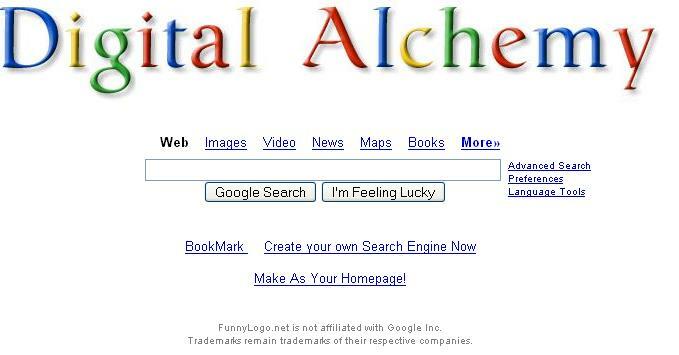 FunnyLogo has cleverly used Google's Custom Search Engine service to let you brand your own search engine. All you need to do is enter your name and choose a logo style (Google, Yahoo, Star Wars, and Harry Potter are among the styles available). If you want users to be able to use your new search engine, you can link to the URL of the page that's created. They get a cut of ad revenue when users click on the Adsense.